Select a page:From Nurse to Independent Bakery Owner - The Cambridge Oven How to use imagery in your marketing Cambridge Running & Networking Meetup Building customer relationships at Cambridge Marketing Consultancy What is content marketing? Awesome meetups in Cambridge Getting the most out of business exhibitions Marketing services for specialist vets at Cambridge Marketing Consultancy Running a business: A marathon not a sprint Effective marketing for nurseries Complacency. The death of your business? Silver award for client website at the Cambridgeshire Digital Awards Client website shortlisted in Cambridgeshire Digital Awards 2016 Sweet Success: 3 Social Media Tips for Your Food Business Video launched for CKLG Accountants in Cambridge New website for Hall1 Exhibitions New Websites Launched for Children's Nurseries Small Business Saturday - 7th December Website Launch for Silks Farm Nursery School Free Marketing Seminar: The Dark Art of Marketing! Marketing - making a powerful 1st impression CBS Communications in Cambridge acquired by Select Telecom Professional Coaching for Women in Cambridge CKLG Accountants Launch New Website The unseen power of social media marketing – making it work for you! Good Plans, Shape Good Decisions So, what exactly is ‘marketing’? Client Wins Award for Outstanding Patient Care Think Big, Start Small, Be Smart! The mark of an CIM Accredited Marketing Professional Customer led growth & success… Cambridge Marketing Consultancy Acquires New Clients To invest or not to invest in marketing? Could British businesses learn from Team GB's, London 2012 success? Client website now live! Our client, DRE Pest Control, featured in the Cambridge News Could your website be doing more for your company profile? Why is planning so important to successful marketing? Last weekend I achieved something I never thought I would do - my first ever half marathon. If I’m completely honest the challenge I set myself almost 12 months ago seemed like a pipe dream (I’m not exactly built for running) and I doubted myself (and my body) many times along the way. But, thankfully and because of sheer determination, dedicated training and a huge amount of support from fellow runners and my family and friends, I can proudly say ‘I did it’. 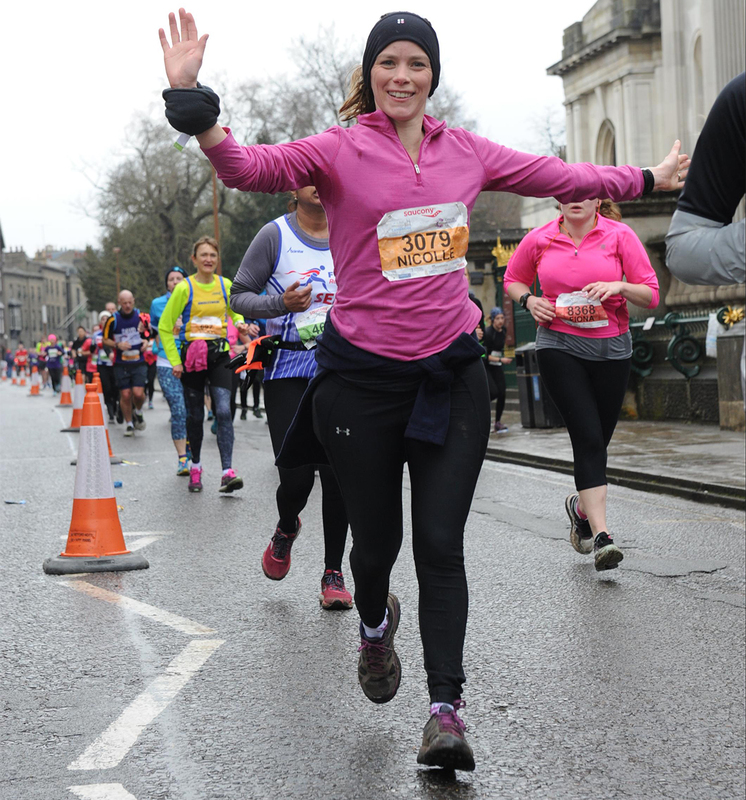 So, what has running a marathon got to do with running a business I hear you ask? Well, a lot actually. Most businesses start life as an idea or an ambition. And while goals, motivations, successes and failures may differ from business to business, the journey is very much the same. To achieve our goals and move forward in business, we must understand our strengths, address our weaknesses, confront anything that may threaten our survival and take advantage of the opportunities that await us. In essence, we need a plan - ’a strategy for success’ if you will, to ensure we achieve our goals and adapt to any obstacles that may prevent or hinder our journey. Training for a half marathon was not an easy journey for me - it required focus, investment, dedication and a strong support team – very much like running my consultancy business actually. And, just like when training for a half marathon – in business, things go wrong, life gets in the way and insecurities threaten our self believe. But it’s at these moments we should celebrate our achievements, focus on our strengths and seek assistance from the team we’ve built around us. Successful businesses are not built in a day, they take time, commitment, energy and drive and while many businesses fail to survive past a year, those that do survive and take the time to reflect, adapt and harness their strengths will continue to flourish for years to come.